1.1. 1.1	How I can contact Mayors client service team? 1.2. How do I find or contact my local Mayors store? 1.3. 1.3	How can I find out if an item is in stock in my local showroom? 1.4. How can I share my feedback to Mayors? 1.5. How can I remove myself from the Mayors mailing list? 1.6. Can I cancel or change my order? 1.1. How do I contact Mayors client service team? Alternatively, you can email us at ecommerce@mayors.com. The easiest way to find your nearest Mayors store is by using our store finder. The telephone number, address and email address are all available. 1.3. How can I find out if an item is in stock in my local store? The quickest way to find out is by checking the product pages on the Mayors.com website or contacting your local store directly. Our store finder can help you find your nearest store and provide you with their contact details. There are plenty of jewelry retailers available to you, but we aim to stand out from the crowd by providing you with a memorable and unique experience in every one of our stores. Your opinion is important and will help us to constantly improve our level of service. You can send feedback about your online or store experience by email to info@mayors.com. We’re sorry to see you go! Please email us at info@mayors.com with your name and full address details and we’ll take care of it. 2.1 2.1	What payment methods does Mayors accept online? 2.2	Does Mayors offer financing? Mayors currently accepts all major credit cards including American Express, Mastercard, Visa and Discover. 2.2 Does Mayors offer financing? Mayors offers a private label program through Alliance Data also known as Comenity bank. For further information, please visit the Mayors Credit Card page or contact our Mayors Credit team at 1-800-4-MAYORS. 3.1 Does Mayors provides a repair services? 3.2 I have a repair in my Mayors store, how can I track the progress? 3.3 Does Mayors provide an appraisal services? 3.4 What are all the other services does Mayors provide? At Mayors, we offer repair services for branded timepieces and jewelry. For further information, please visit our luxury services page or please contact your local store. You can find their contact details by using our store finder. 3.3 Does Mayors provide appraisal services? In order to learn the true value and quality of your jewelry or a timepiece, an appraisal by a qualified professional is essential. Our expert gemologists offer a full range of appraisal services available in all of our Mayors stores. Many jewelers charge a percentage of your jewelry’s value to provide an appraisal, but we typically charge a simple fixed fee of $100 for the first item and the $65 for each additional item. For extremely complicated and time consuming appraisals the cost may be higher, but we will contact you and advise you of the cost prior to appraising the piece. To find out more about our appraisal service, or to make an appointment, please use our store finder to contact your nearest store. To provide you with the best experience possible, we offer a range of services. To find more about our Custom Design, Jewelry Cleaning and Engraving services and other services, please visit our Luxury Services page. 4.2 Does Mayors provides extended warranty for timepieces? 4.3 Does Mayors provides warranty for Pre-Owned timepieces? 4.4 Does Mayors provides warranty for repairs and services you provided? 4.5 What are the Exclusions applied? The Manufacturer’s warranty for timepieces varies by brand and style. However, most warranties are usually valid for two years from the date of purchase. For further information regarding a warranty on your specific timepiece, please contact the Client Service Team at 1-800-4-MAYORS. At Mayors, we provide 5 years of extended warranty for all Rolex timepieces and 3 years of extended warranty for all other timepieces except Armin Strom. If the timepiece malfunctions, Mayors at its sole discretion will repair or replace the movement at no charge if such movement shows a manufacturer’s defect under normal use. Exclusions apply. 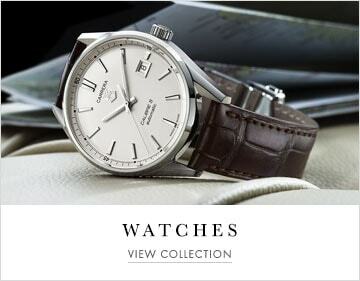 At Mayors, we provide 2 years of warranty for all the pre-owned timepieces. If the timepiece malfunctions, Mayors at its sole discretion will repair or replace the movement at no charge if such movement shows a manufacturer’s defect under normal use. Exclusions apply. Mayors provides service warranty for the services provided at the Mayors watch service center for 2 years for all brands. Exclusions apply. This warranty does not cover damage or wear to the case, crown, crystal, strap, bracelet, or battery. Any tampering, modifications, or alterations to the timepiece, or any type of service by any party other than Mayors or the manufacturer will void this warranty. This warranty does not cover accidents, misuse, abuse, neglect, or maintenance service. We do not provide extended warranty for Armin Strom timepieces. Mayors offers fast and free shipping on every U.S. Mainland order. We ship Monday to Friday via our secure overnight delivery services. All deliveries are made between 8.00 AM and 6.00 PM and require an adult signature upon receipt. You will receive an email notification when your order is shipped which contains the tracking information and how to track your order. All Mayors online purchase requires direct adult signature upon receipt. On presentation of the original receipt, your purchases may be returned to any Mayors stores within 10 days of purchase for timepieces and all other merchandise within 30 days for a full refund or exchange provided that the item is unworn and undamaged and with original packaging. All refunds will be credited in the same tender used for the original purchase. All returns or exchanges must be in new, unworn condition, with no scratches or markings, not sized or adjusted and in their original packaging and with warranty cards / certificates and instruction booklets. Alternatively, your online purchases can be returned at any of our Mayors store locations. 6.1 What is the click and collect service? 6.2 How do I place an order on Mayors.com to collect at stores? 6.3 How will I know when my item is ready for collect? 6.4 What should I bring to the store when I collect my item at a store? 6.5 Will sales tax be charged on items that will be collected at store? 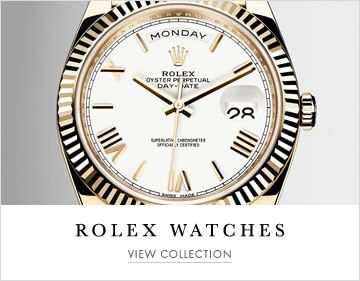 Click and Collect is the service offered to clients who purchases online and collects from any of our Mayors store location except in our Rolex Boutique by Mayors. All the products available for online purchases is available for click and collect services. To find a Mayors store near you, please click here. Add any item available to purchase online to your shopping bag and select the location you would like to collect from. Once you paid online for the purchases, you will receive an order confirmation. You will receive a second email notification when your order is ready to collect. All product available for purchase is eligible for Click and Collect service. You will receive an email notification when your item is ready to be picked up. Your order will usually be ready for pick up within 2-3 business days in the store location you have selected. Please wait for the email notification before going to the store to collect your online purchases. Sales tax will be collected based on the location where you will be collecting your online purchases.